Canada is taking the recent nerve agent attack in the U.K. seriously. But what about Arctic sovereignty? Russian President Vladimir Putin’s recent boast of possessing an arsenal of undetectable nuclear weapons has not really had material effect on geo-political relations — yet. North American and European preoccupation of late has been less on Russia’s military procurement than on the acute issue of the nerve agent attack on an ex-spy in the U.K.
On Monday, Canada and the U.S. both announced it would be expelling diplomats from its borders in response to the attack. But despite this recent action, this country continues to bask in that ever-so-Canadian sense of delusion when it comes to understanding our place in a potential future Russian-American standoff. And while I do not want to sound like those old-fashioned “Russians are Coming” harbingers of hype, it is important that we take careful stock of our strategic military options in the case of a superpower spat — or worse. For starters, the notion of a neutral, peaceful demilitarized Canada is a delusion. Whether we like it or not, Canada is perfectly placed to be the battleground of choice in a future conflict: we share a long and long-disputed Arctic border with an increasingly militaristic and hostile superpower. 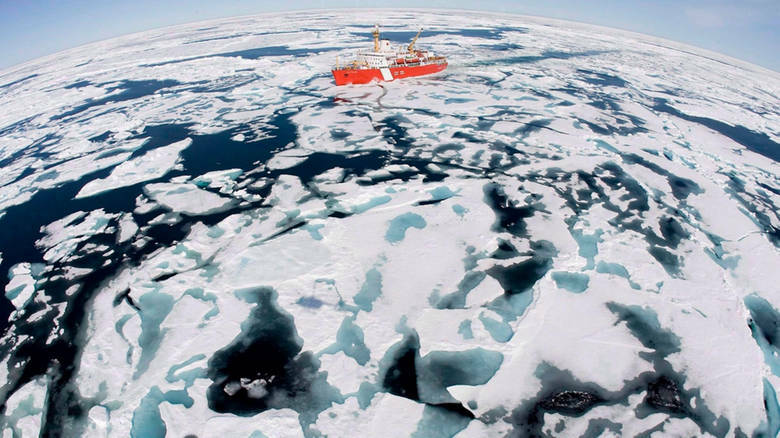 Largely unpopulated, open and scantily defended, Canada’s Arctic is the safest and shortest line of attack and counterattack in a potential conflict. To think that Russians, North Koreans or Americans will decide, out of courtesy, to hang a detour around the second-largest country in the world is dangerously naïve and irresponsible. And the United States will not necessarily protect Canada in the case of a ballistic missile attack, as Canada’s senior officer in Noradreminded us last year. We know that Russia is rather unabashedly building up its military presence in the Arctic. There are at least 18 recently constructed or upgraded Russian military bases along the Russian-Canadian Arctic border, along with its sizeable air force, nuclear submarines and 40 operational icebreakers with more under construction. In terms of Canadian military assets in the region, we maintain a small signals intelligence facility on Ellesmere Island (CFS Alert), which is manned by approximately 60 personnel — not all of whom are serving military. In Yellowknife, Joint Task Force North maintains a small headquarters staff of approximately 70 personnel, with an area support unit of 50. The Royal Canadian Air Force is represented in the region by a non-combat utility transport squadron flying four small CC-138 Twin Otter aircraft that came into operation around the time our prime minister was born. And apart from the southern Canada-based soldiers who occasionally stick their heads into the Arctic for short exercises, there is no permanent “boots in the snow” combat establishment ready to deal with a violation of our territory. Meanwhile, the closest thing to a ground force on the Canadian side consists of a series of patrols of minimally trained reserve auxiliaries, The Canadian Rangers, who each receive all of 10 days training and are still carrying vintage World War II rifles. 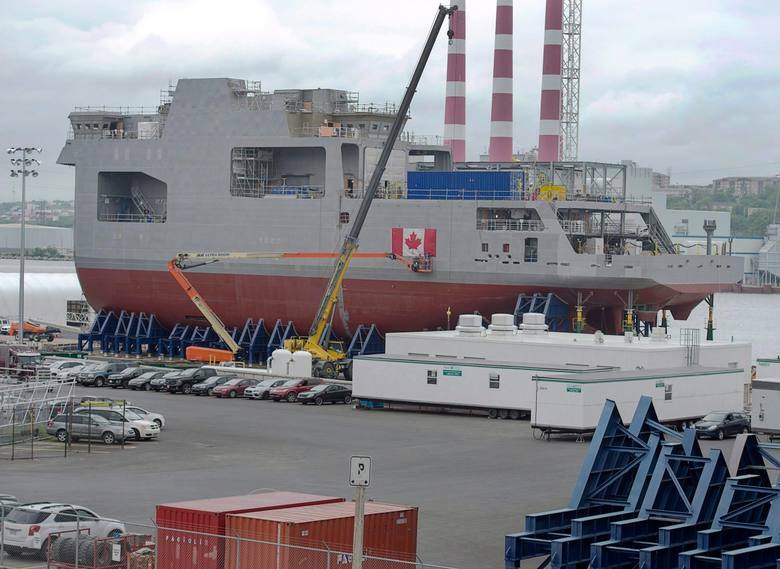 Our government might try to assure us that the Arctic Offshore Patrol Ship project, which is currently under construction, will provide a deterrent to possible Russian aggression. But the minimal armament for these boats will place these ships in a “constabulary role,” according to the Royal Canadian Navy. Translation: they are not going into battle. We might tell ourselves that the specially trained Russian soldiers, warships and fighter bomber aircraft that are now rigorously training on bases such as SrednyOstrov, Alexandra Land and Nagurskoyenear our disputed northern border have no nefarious intentions, at least when it comes to Canada. But they are there, armed and ready, on our disputed border. So the question is: what are their intentions? Just how much longer can we pretend that our strategically important and resource-rich Arctic will remain secure? Can we really afford to delude ourselves into thinking that our projection of ourselves as a “peacekeeping nation” will be enough for the superpowers to both respect Canada’s claims to the Arctic and sidestep our territory in the event of war? As time goes on, and other nations continue to stake their claim on the Arctic, the answer may soon not be ours to make.